Global video advertising company Teads has opened a Manchester office. The company, originally founded in 2011, has pioneered the use of outstream video, a format which allows video ads to sit within an article but outside of usual partners like YouTube. Teads, which has raised over $100m across several funding rounds, reported revenue of $200m globally last year, up 39% on the previous year, and has 500 staff across 21 countries. It has now decided to open a Manchester base on Deansgate - staffed only by regional director Guy Jackson at the moment, but with plans to grow - after determining the company wasn't getting the desired coverage in the region. 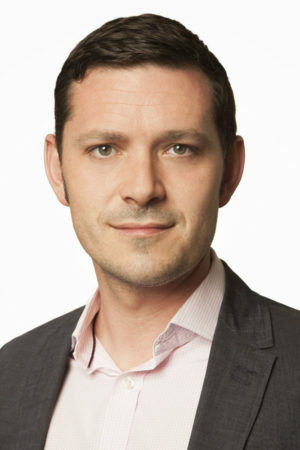 UK managing director Justin Taylor told us: "We really noticed towards the back end of last year that we weren't growing as fast in Manchester as we were in London, and the reason we felt was that we weren't educating clients about where Teads fits into their video ecosystem or media pack. "We needed to get the product in front of more people, and we also needed to better communicate the concept of outstream - which we invented six years ago. "Unlike instream formats which replicate the TV model and require video content to run, outstream formats position video advertising within the heart of editorial." Outstream video now represents 43% of the digital video market, up from 20% in 2015. Teads works with over 500 leading publishers globally, including The Guardian, Telegraph, Washington Post, Time Inc and Business Insider. Originally founded by a group of French entrepreneurs, the company has now moved its headquarters from Paris to New York and earlier this year was acquired by telecom giant Altice in a deal which valued Teads at $308 million. Taylor said that outstream video delivered much more engagement with readers and up to five times more yield that a traditional display unit. He said that, particularly with the continuing growth of mobile usage, usability and the importance of not irritating readers was essential. "Our core priority is delivering a solution for publishers that respects their readers and their editors," Taylor, a former managing director of MEC Digital, added. Since opening in Manchester, Taylor said that relative growth in the city had now overtaken London, and that the company had began to see traction in Leeds and Birmingham too.